Trusted opinions regarding the iPad Mini, like those coming from John Gruber over at Daring Fireball, are starting to roll in and the news doesn’t seem great… unless you read all the way to the end. The iPad Mini doesn’t have a Retina display. We wish it did, we don’t know why it doesn’t, but get over it. 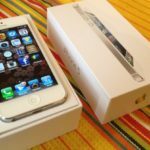 After you accept that the resolution isn’t going to rival what you are used to seeing on the iPad 3 (or 4) or your newer model iPhone, you can start to be objective about the real reasons for owning the iPad Mini. At less than half the weight of a full-sized iPad, the difference is “tremendous.” Gruber describes the Mini as “just plain fun to hold,” and that makes sense –anybody who has held a Kindle or Kobo reader for any length of time will tell you that the dimensions and weight are very comfortable to manage. Typing on it seems comfortable (and in some ways makes more sense, particularly in portrait mode where you can hold the tablet with two hands and type with your thumbs quite easily), the performance is equal to that of the iPad 3 (despite initial concerns that it would be slow) and the exterior design (complete with “chamfered edges, less tapered back and metal rather than plastic buttons”) is being described as ‘elegant’. So should you get one? Maybe. 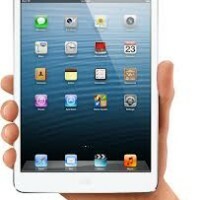 Should you opt for the iPad Mini instead of the traditional, larger iPad? Maybe. It’s all about having the right tool for the job. If the primary uses for your iPad include reading or social gaming, you want a device for your children or you are always traveling and on the go –don’t hesitate. If you don’t expect 10″ of iPad out of your iPad Mini, you will be thrilled. If you are looking to use an iPad instead of a laptop at home or you want to work with the kinds of apps that are dependent on high-resolution graphics or lots of screen real estate, keep looking.